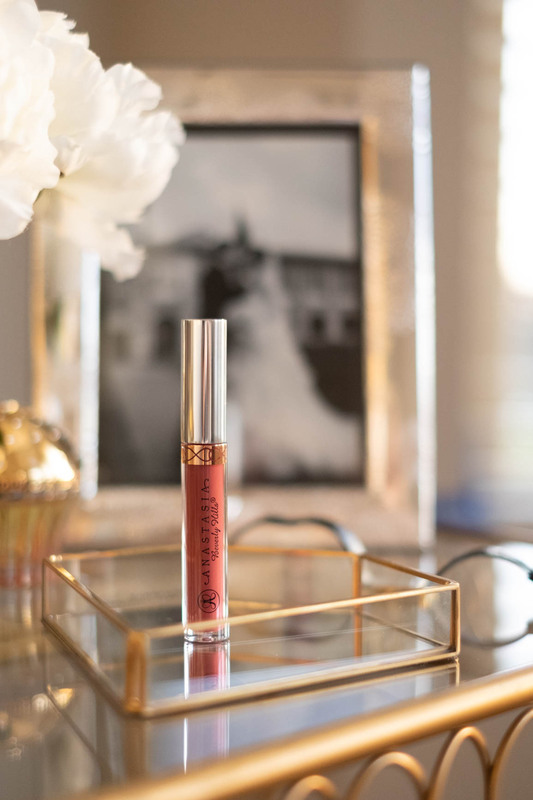 If you are searching for a perfect liquid lipstick this winter season and can’t decide between NARS Powermatte Lip Pigment vs Anastasia Beverly Hills Liquid Lipstick, then this post is for you. I didn’t realize that these lipsticks are so similar in the shade and finish until I swatched them next to one another. Comparing these two products is a little tricky for me as I have special feelings about both of these lipsticks. I got Anastasia Beverly Hills lipstick during the Black Friday last year and scrolled through ALL swatches on Pinterest trying to pick the right color for myself. I think I was looking for this exact shade for quite some time and I felt extremely lucky when I got this gorgeous feminine shade (Kathryn) on a deal. On the other hand, Nars Powermatte Lip Pigment in shade American Woman brought good news to me: I told my husband that I’ll receive my delayed green card the same day as I buy this lipstick and it happened exactly in the same order: my Sephora package was followed with an envelope from USCIS, the same day. 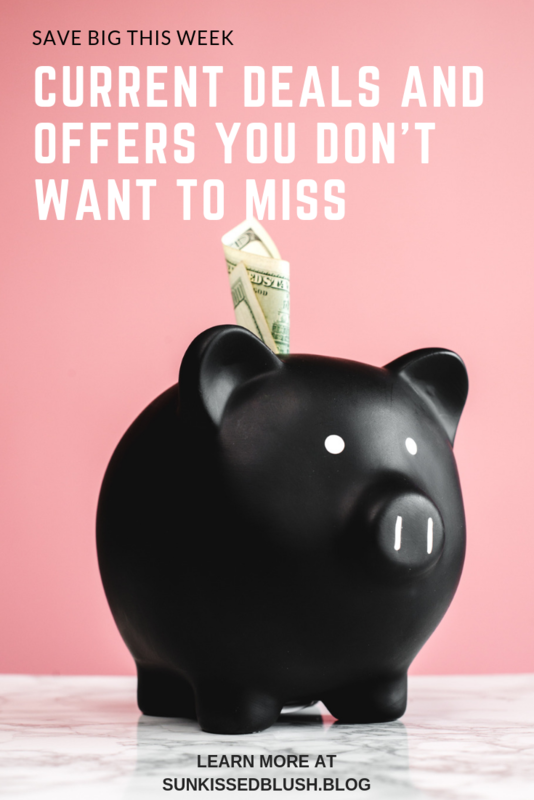 In general, there are a lot of similarities between these two products, but there is also a difference that I’d like to talk about in this post. Let’s start with the packaging. Both of these liquid lipsticks come in a liquid lipstick tube with an applicator attached to the cap. 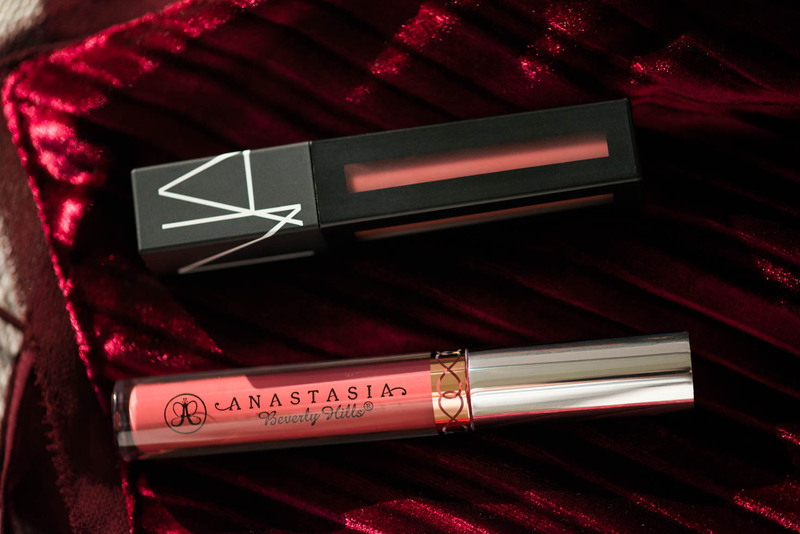 Anastasia Beverly Hills Liquid Lipstick has a more classic rounded design for the lipstick tube, while Nars Powermatte Lip Pigment has an edgier more rectangular one. In Nars Powermatte Lip Pigment you get slightly more product compared to ABH Liquid Lipstick – 0.18 oz vs 0.11 oz respectfully. ABH Liquid lipstick has a regular rounded applicator, while the one from NARS features a custom doe-foot applicator which is extremely easy to use for the precise application. I loved NARS’ applicator so much that I also purchased this lipstick in vivid orange-red Light My Fire shade. 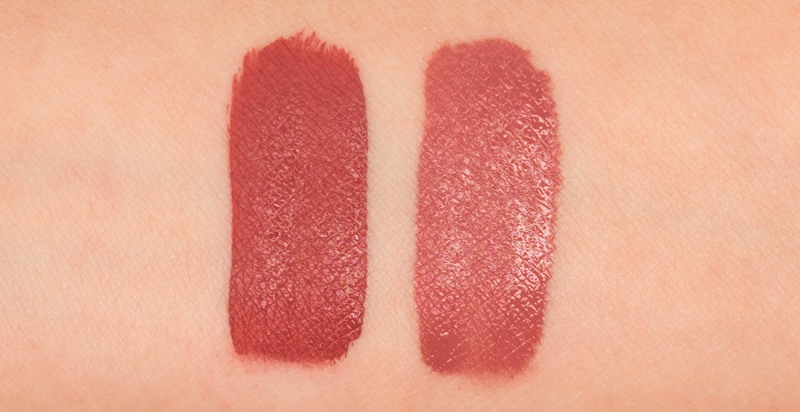 Both lipsticks have a similar texture and finish – both are highly pigmented matte liquid lipsticks. Both formulas dry pretty fast to weightless full-coverage powder without drying your lips. 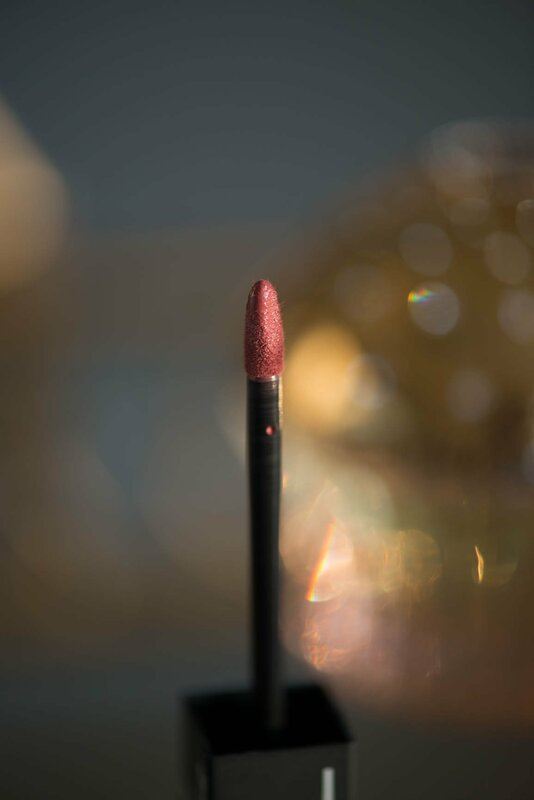 In addition to this, both lipsticks feature smudge proof and long-wear formula. Nevertheless, I find the formula of Anastasia Beverly Hills lipstick a little thicker in texture. 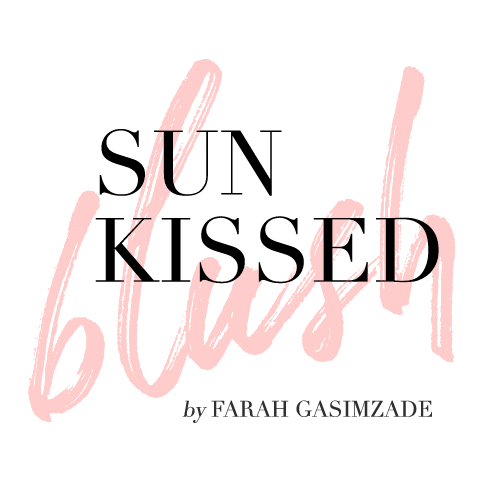 On my lips, it dries a little faster and stays much longer: when I was washing off the swatches, ABH stained more and it was far more stubborn to wash off my hands even with the waterproof makeup removers. Compared to the creamier texture of ABH Liquid Lipsticks, Powermatte Lip Pigment has a thinner texture and it dries a bit longer. 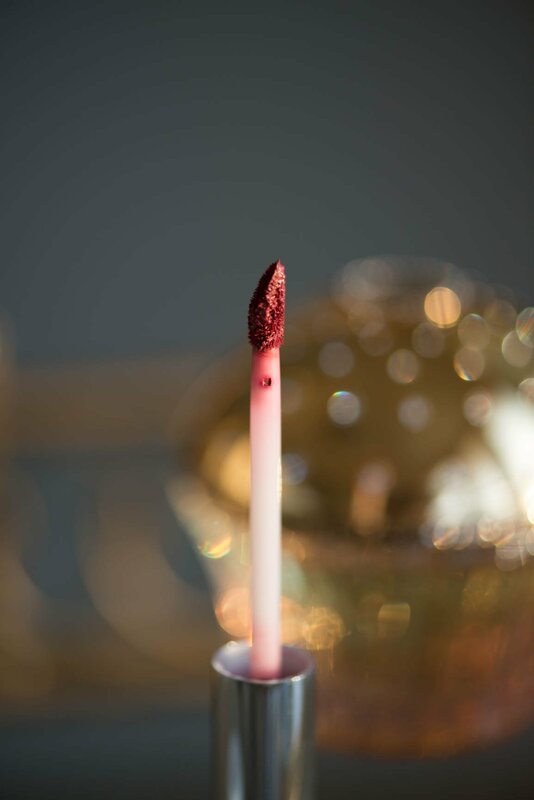 Even after you give it a little time to dry, you can still stain a tissue with this lipstick. Moreover, if you compare both of the lipsticks side-by-side on my lips, you’ll notice that ABH Liquid Lipstick has a more opaque, fully-matte look while NARS Powermatte Lip Pigment has more of a satin finish. A fragrance is another important aspect of any makeup formula, especially for lipsticks. Nars Powermatte Lip Pigment has a subtle vanilla fragrance, while ABH doesn’t really have any pronounced flavor. Anastasia Beverly Hills has probably the widest selection of liquid lipstick shades: 45 different shades! NARS Powermatte Lip Pigment, in turn, is available only in 28 shades, which is also a lot. I picked ABH liquid lipstick in Kathryn shade which is described as a brown berry. For me, it is a few tones darker and has a slightly warmer undertone compared to the chestnut rose shade of American Woman. When swatched on my lips, I find Kathryn to work better with my skin tone even though the difference may be barely seen on pictures. As you may already know, ingredients differ from one shade to another even if you are comparing two shade of the same product. Therefore, below, you can find ingredients for Kathryn and American Woman respectfully. Isododecane, Cyclopentasiloxane, Trimethylsiloxysilicate, Dimethicone, Kaolin, Polyisobutene, Synthetic Beeswax/Cera Alba/Cire D’abeille, Disteardimonium Hectorite, Silica Silylate, Octyldodecanol, Alaria Esculenta Exctract, C-18-36 Acid Triglyceride, Camellia Oleifera Leaf Extract, Camellia Sinensis Leaf Extract, Caprylic/Capric Triglyceride, Carthamus Tinctorius (Safflower) Seed Oil, Ethylhexylglycerin, Laminaria Ochroleuca Extract, Phenoxyethanol, Propylene Carbonate, Stearalkonium Hectorite, Tocopheryl Acetate, Tribehenin. May Contain: (+/-) Red 6 (Ci 15850), Red 27(Ci 45410), Iron Oxides (Ci 77491, Ci 77492, Ci 77499), Titanium Dioxide (Ci 77891). 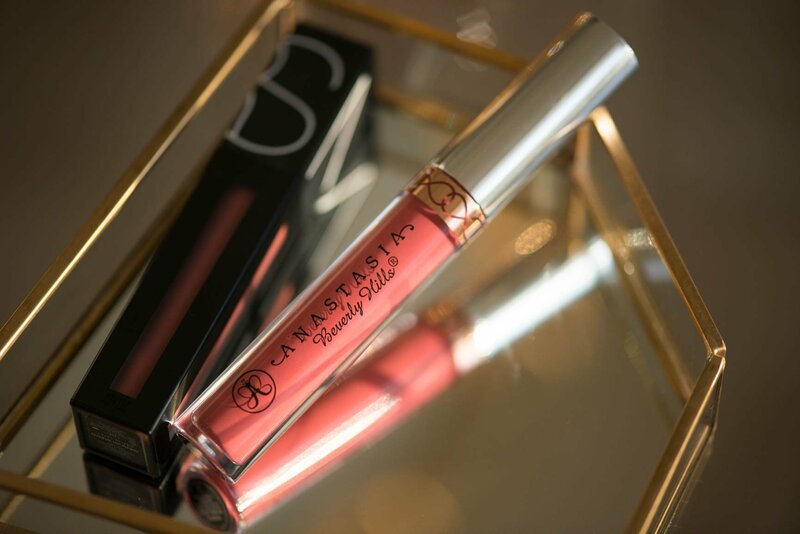 ABH Liquid Lipstick is cruelty-free and it is formulated without Parabens, Sulfates, and Phthalates and has a shelf-life of only 6 months. Nevertheless, it contains few ingredients like Cyclopentasiloxane, Phenoxyethanol, Dimethicone and Tocopheryl Acetate. According to the EWG database, all these ingredients are ranked as ingredients of the moderate hazard (ranked as 3-4). Isododecane, Dimethicone, Trimethylsiloxysilicate, Hydrogenated Polycyclopentadiene, Disteardimonium Hectorite, Tocopheryl Acetate, Tripeptide-1, Xanthan Gum, Sodium Hyaluronate, Propylene Carbonate, Triethoxycaprylylsilane, Aluminum Hydroxide, Isohexadecane, Ethylene/Propylene/Styrene Copolymer, Butylene/Ethylene/Styrene Copolymer, Ethyl Vanillin, Phenoxyethanol. May Contain: Blue 1 Lake (CI 42090), Iron Oxides (CI 77491), Iron Oxides (CI 77492), Iron Oxides (CI 77499), Red 28 Lake (CI 45410), Red 7 (CI 15850), Titanium Dioxide ( CI 77891), Yellow 5 Lake (19140), Yellow 6 Lake (CI 15985). 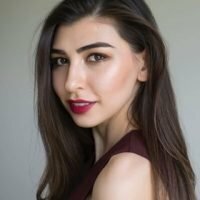 Similar to ABH, Powermatte has a few ingredients on the lists of a moderate hazard. Other than that, Nars has a slightly better list of ingredients with an extended shelf life of 24 months. 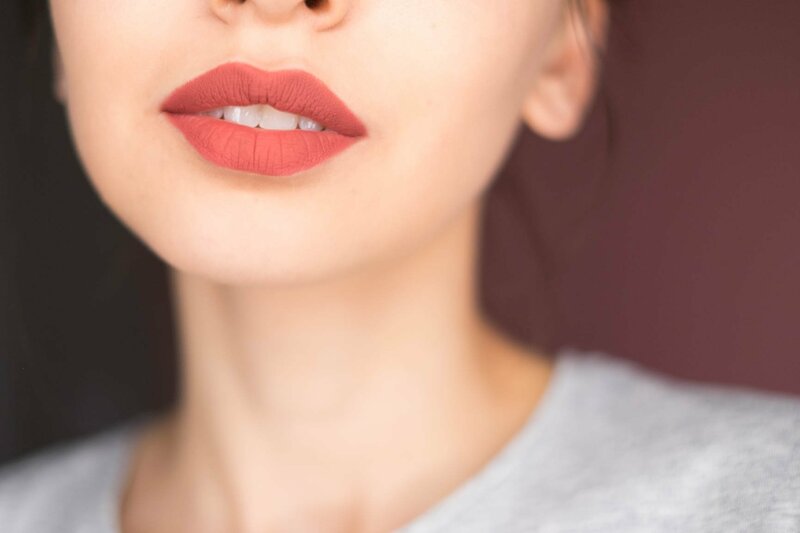 For the flawless look with any matte lipstick, you need to make sure that your lips are smooth and even in texture. Otherwise, even the most perfect formula will look bad on dry unprepared lips. 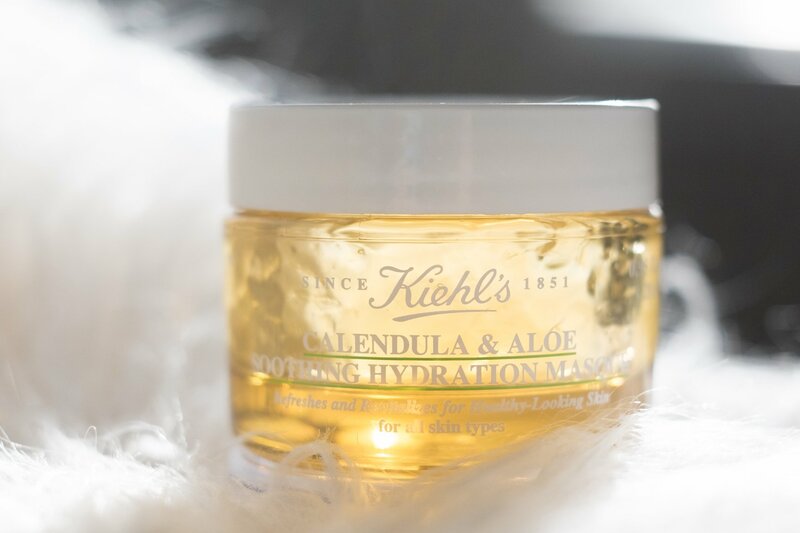 In addition to this, each brand has their own tips for application. Therefore, please consider these recommendations for application of each liquid lipstick from the manufacturer. -Please make sure the cap is securely closed when the product is not in use. As I said before, it’s much easier for me to work with Powermatte because of its applicator. For ABH liquid lipstick, I always need to use a lip brush for a more precise application. I almost missed this section! 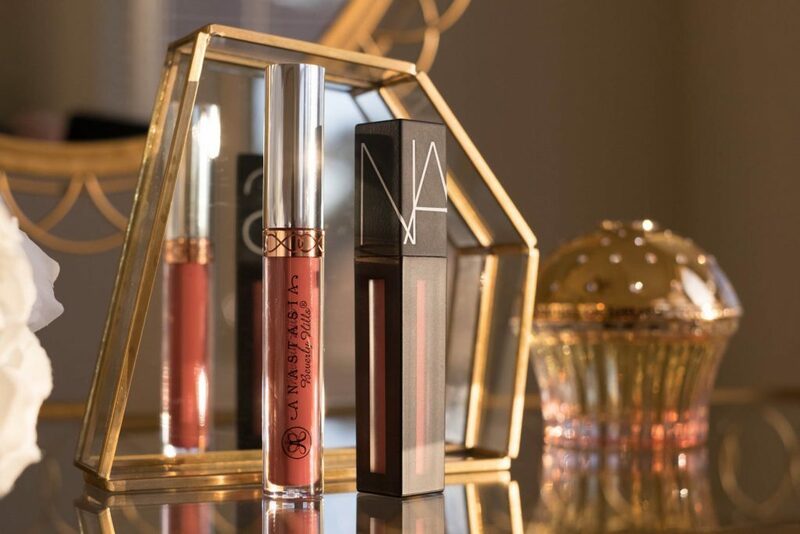 Anastasia Beverly Hills Liquid Lipstick can be found at ABH Official website and different retailers including Nordstrom and Sephora and for $20. 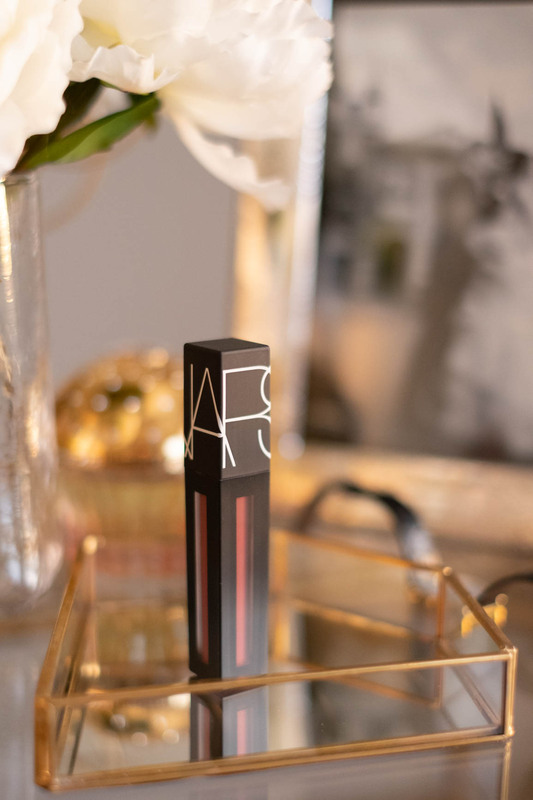 Nars Powermatte Lip Pigment is also sold at a number of retailers including Nordstrom and Sephora as well as at Nars.com for $26. 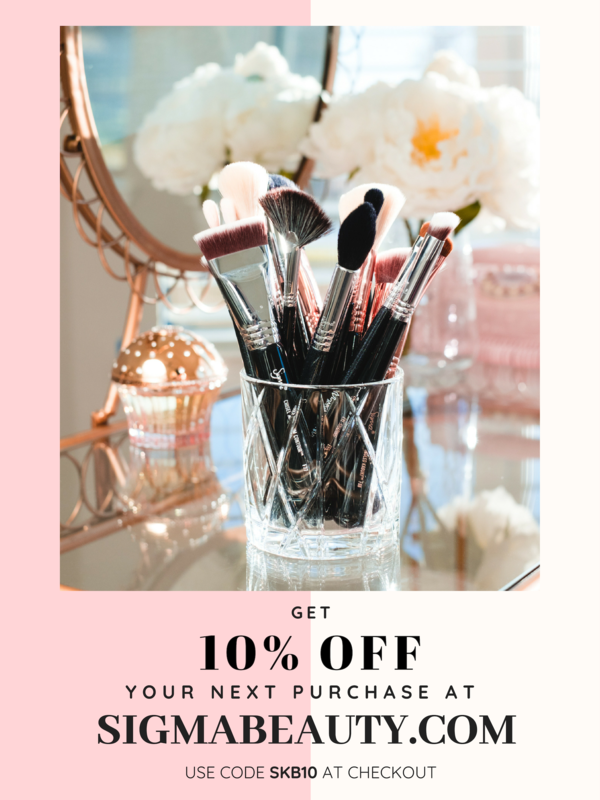 By the way, Nordstrom is having a sales event right now and both of these products are 15% off! As I said in the beginning, it’s very hard to pick a winner between these two products. If you check the ratings online, Powermatte Lip Pigment has a better rate compared to Anastasia Beverly Hills Liquid Lipstick. 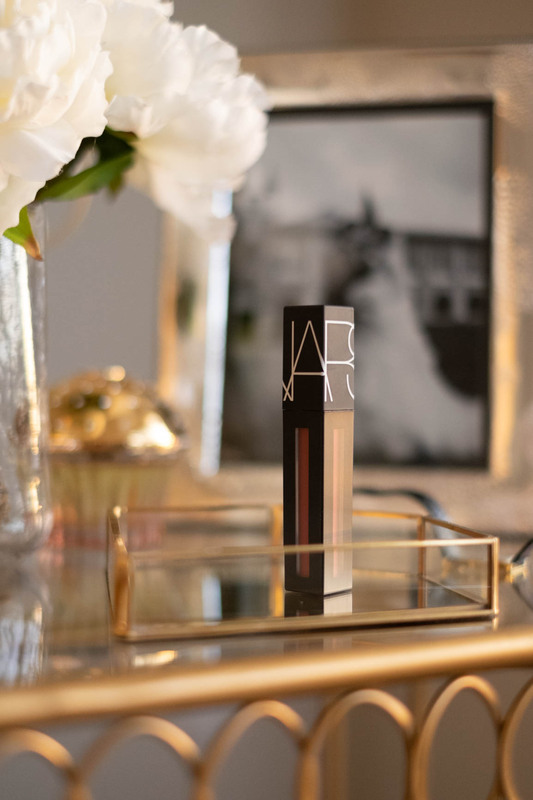 Moreover, NARS Powerpmatte LipPigment is an Allure Best of Beauty award winner. Personally, I find Kathryn shade extremely beautiful and feminine. Its berry undertone works perfectly with my skin tone, yields true full coverage, and it stays much longer on my lips compared to Powermatte. 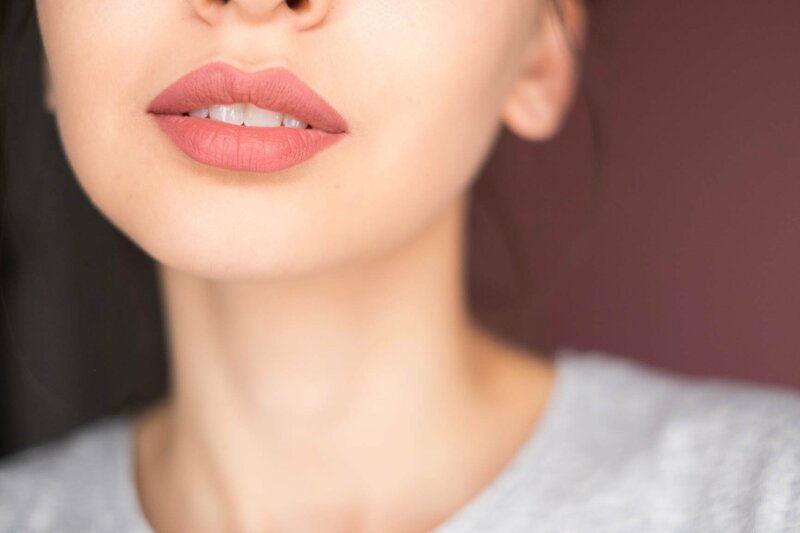 For Invisalign patients, fast drying lipstick is a dream and a must. On the other hand, Powermatte’s applicator and its lightweight formula make it easier to apply the product without a lip brush. This, in turn, makes me reach for these ( American Woman and Light My Fire) lipsticks even more often. 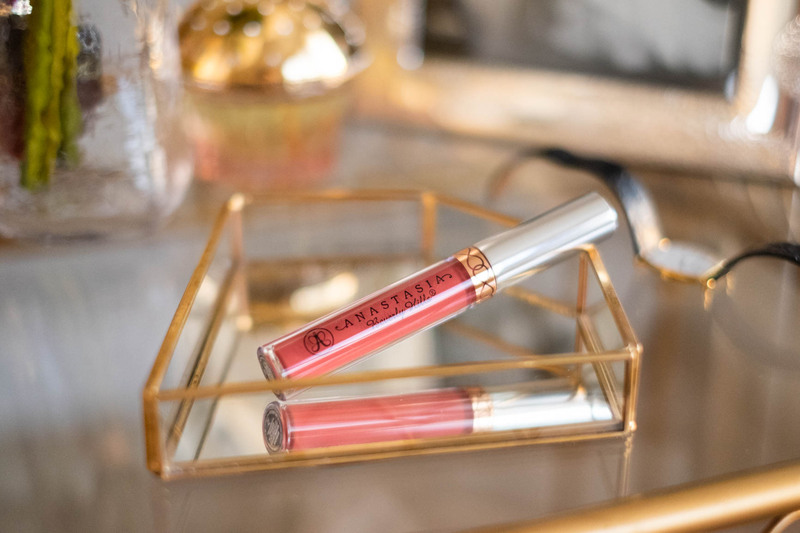 If you love mixing shades and creating new looks with your makeup, you probably might want to check Anastasia Beverly Hills liquid lipstick due to their versatile formula. If you prefer something less sophisticated and easier to use, I’d recommend going for Nars Powermatte Lip Pigment. Have you tried any of these lipsticks? Which one is your favorite? Let me know in the comments down below!